Spend less time hiring, more time hacking! Interviewing developers is a time consuming process, and it's painful to waste time with people with great resumés who just can't code! Find out how good your candidates really are before they set foot in the door. No need to waste any time finding out if a candidate can write solid code. Sending out tests to candidates takes seconds. See which candidates can actually solve your problems. Build a test from one of our included templates or hire us to build you a complete test! Compare statistics on how well each candidate did. 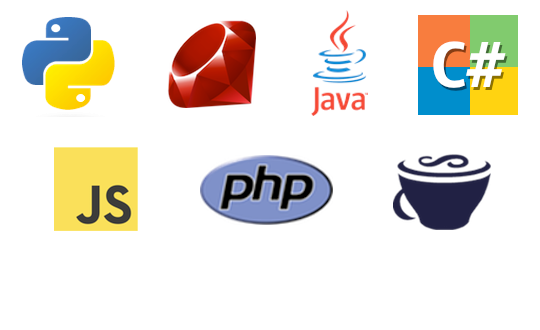 Order candidates by coding ability and only interview the top performers. Give your candidates a great first impression. Our slick user interface will impress the candidates you want to hire. 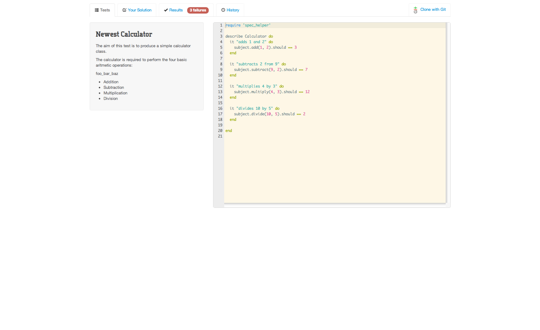 Candidates can use our built in web editor to complete the exercise, or they can seamlessly clone the exercise with git. Slick user experience with browser push notifications. 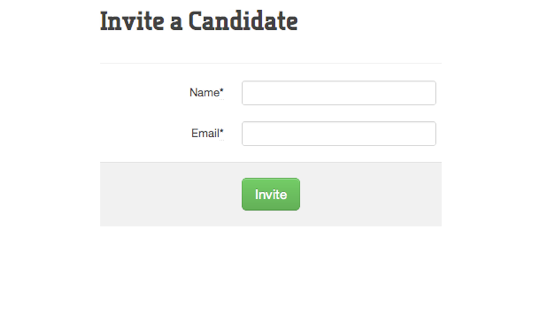 Invite candidates to take a test in just seconds, with only two fields to fill in. See how long candidates took to complete the tests, and step through their coding history to get an idea of how they think. Share results easily with a secure link you can pass to anyone. 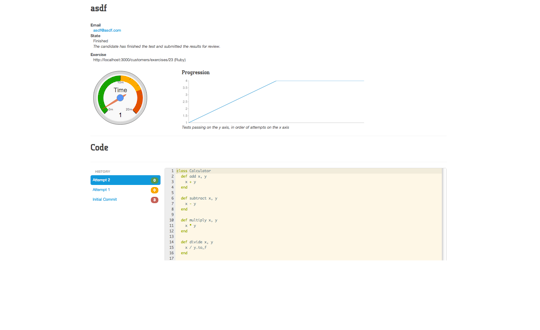 Candidates complete tests in our web based testing environment, using a slick editor with syntax hiliting, or optionally clone a git repository to work with their own favourite editor. 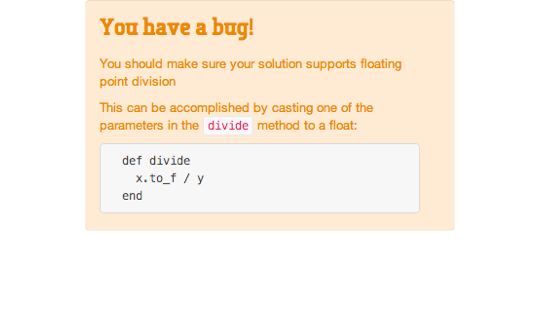 Add a twist by creating a private test for a common mistake, and give a hint to see how they solve the problem. Identify people who get it right first time.